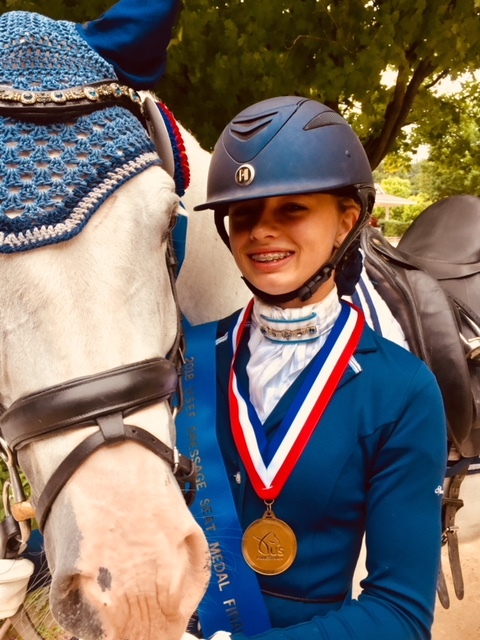 Congratulations to Camille Molten on winning the USEF Dressage Seat Medal Finals 13-and-Under Division for the second year in a row! This year she rode my Connemara gelding Wildwych Bamboozle and did a spectacular job with "Bam-Bam" in the competition at Lamplight Farm near Chicago. Camille lives in Mt. Pleasant, SC and also trains with Michelle Folden at Stono River Riding Academy. Camille started riding Bam-Bam in the springtime; she had qualified on the pony Magnito, who is part of the lesson program at the barn, but she had outgrown him and needed a bigger pony. Camille's mom Emily said, "We were checking out a mare for sale who didn’t work out for us in February, so we were without a horse for a little while – she was riding all the little ponies at Michelle and David’s. Bam-Bam had been on stall rest for a little while to treat an injury and it was time for him to come back for work, so Camille started to ride him since Miss Debbie had a new horse. 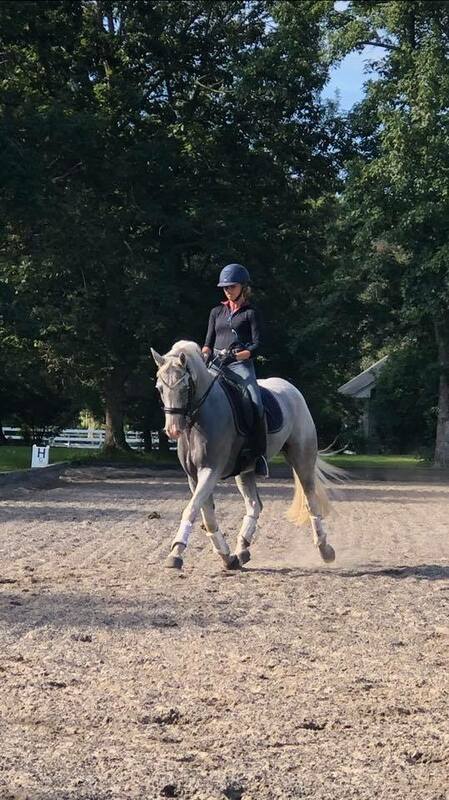 Camille needs a bigger horse in the long run, but he was a dream for her to ride – he’s very steady and willing and she enjoyed being able to ride him. We knew that he would be a good equitation horse, especially for the younger division. I see why Ms. Debbie chose him as a para horse, because he's just so steady. He’s a dear, sweet horse and I couldn’t be more thankful to Ms. Debbie for giving Camille the opportunity to ride him. His next family is going to be lucky to have him - he’s an easy guy to love!" Camille said, “He’s really steady in the contact and his energy level, and he’s always been good in all three gaits, he’s a really good boy. He can sometimes be a little lazy when he’s tired, but usually he’s really nice to ride. It was great to do so well at the Championships, I was trying not to expect any particular outcome but I was really happy with our result!" "Bam-Bam" is for sale - please contact Michelle at (843)408-9118 for more information.